Tuyên bố chung về cuộc họp nội các chung ViệtNam - Thái Lan lần thứ 3, ký tại Băng-cốc ngày 23 tháng 7 năm 2015, có hiệulực kể từ ngày 23 tháng 7 năm 2015. 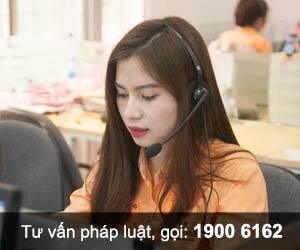 Bộ Ngoại giao trân trọng gửi bản sao tuyên bố chungtheo quy định tại Điều 68 của Luật nêu trên./. 1. With a view to strengthening theStrategic Partnership between Viet Nam and Thailand at the dawn of the 5thdecade of bilateral relations, H.E. General Prayut Chan-o-cha, Prime Ministerof the Kingdom of Thailand, and H.E. Mr. Nguyen Tan Dung, Prime Minister of theSocialist Republic of Viet Nam co-chaired the Third Viet Nam - Thailand JointCabinet Retreat on 23 July 2015 in Bangkok, Thailand. 2. The Vietnamese delegation atthe Third Joint Cabinet Retreat was led by H.E. Mr. Nguyen Tan Dung, PrimeMinister of the Socialist Republic of Viet Nam. The Thai delegation at theThird Joint Cabinet Retreat was led by H.E. General Prayut Chan-o-cha, PrimeMinister of the Kingdom of Thailand. The list of the Vietnamese delegation andthe Thai delegation appear as ANNEXES II and I respectively. 3. In their opening remarks, H.E.Mr. Nguyen Tan Dung, Prime Minister of the Socialist Republic of Viet Nam, andH.E. General Prayut Chan-o-cha, Prime Minister of Thailand emphasized theimportance of the Third Joint Cabinet Retreat in setting out the directions forthe 5th decade of bilateral relations with the goal to furtherstrengthen the Strategic Partnership for peace, prosperity, and stabilitybetween the two countries and in the ASEAN region. 4. H.E. Mr. Nguyen Tan Dung, PrimeMinister of the Socialist Republic of Viet Nam, and H.E. General PrayutChan-o-cha, Prime Minister of Thailand expressed great satisfaction with theprogress of bilateral relations and cooperation since the Second Joint CabinetRetreat in 2012. The two sides welcomed the regular exchanges of high-levelvisits, the effective implementation of the Plan of Action Implementing theViet Nam - Thailand Strategic Partnership (2014 - 2018), the strengthening ofpolitical and security cooperation, the continual expansion of trade and investmentcooperation, as well as the deepening of cultural, social, and educationalcooperation; which helped to bring about greater strategic benefits for bothcountries. d. The initiatives to launch newcooperation such as the setting up of Joint Working Group to Cooperate inAddressing Illegal Fishing, and the commencement of negotiations on ExtraditionTreaty. f. Both sides agreed to organizeall year round activities in Viet Nam and Thailand in 2016 to celebrate the 40thAnniversary of the Viet Nam - Thailand diplomatic relations; as well as tostrengthen the Strategic Partnership between the two countries; including theexchange of high - level visits, the exchange of cultural activities, and theorganization of seminars to promote trade and investment. 5.3. The two sides highlyappreciated the vibrant development of bilateral cooperation in this area,reflecting the higher level of economic connectivity between the two countriesin the context of the formation of ASEAN Economic Community by the end of 2015.In that spirit, both sides welcomed the results of the Second Meeting of theJoint Trade Committee, the adoption of the Plan of Action on Trade andInvestment Cooperation between Viet Nam and Thailand (2015-2020), the ThirdVice Foreign Ministers’ Meeting on the East - West Economic Corridor (EWEC),and Thailand's ratification of Annexes 6, 8, and 14 of the CBTA on 30 March2015 which put into effect the Addendum to the Memorandum of Understandingbetween and among Lao PDR, Viet Nam and Thailand on the Initial Implementationof the Agreement between and among the six GMS countries for the Facilitationof Cross-Border Transport of Goods and People (IICBTA) at Lao Bao - Dansavanhand Savannakhet - Mukdahan (Route No. 9) signed in February 2013, extending theEWEC to Vientiane, Bangkok, Ha Noi, Laem Chabang Port and Haiphong Port. Theextension would help enhance the EWEC’s economic potential and promote socioeconomicactivities. 5.4. Thailand welcomed Viet Nam’sconsideration to participate in the International Tripartite Rubber Council. g. Facilitate cooperation oncapital market development, encourage Vietnamese enterprises to consider theThai capital market as an option to raise capitals. e. Welcome the successful outcomeof the Fifth Joint Working Group Meeting (JWG) on Agricultural Cooperationunder the Memorandum of Understanding between the Ministry of Agriculture and RuralDevelopment of the Socialist Republic of Viet Nam and the Ministry ofAgriculture and Cooperatives of the Kingdom of Thailand on AgriculturalCooperation. c. Increase flight frequencies andencourage more direct flights in new destinations in Viet Nam and Thailand,including by the Thai VietJet Air. j. Thailand appreciates Viet Nam’ssupport on the amendment of the draft decision on Kaeng Krachan Forest Complexduring the 39th World Heritage Committee (WHC) meeting in Born,Germany. Viet Nam, as a member of World Heritage Committee, agreed to supportThailand for the preparation of both Phuphrabat Historical Park and KaengKrachan Forest Complex inscribed as World Heritage Sites at the next WHCsession in Istanbul, Turkey in July 2016. 5.13. Both sides reaffirmed theposition contained in the Chairman’s Statement of the 26th ASEAN Summit.Both sides shared concerns on the situation in the South China Sea/East Sea,which has affected trust and confidence and may undermine peace, security andstability in the region and reaffirmed the importance of maintaining peace,stability as well as safety and freedom of navigation in and over - flightabove the South China Sea/East Sea. Both sides emphasized the need for allparties to ensure the full and effective implementation of the Declaration onthe Conduct of parties in the South China Sea/East Sea (DOC) in its entirety:to build, maintain and enhance mutual trust and confidence; exercise self-restraint in the conduct of activities; not resort to threat or use of force;and to resolve their differences and disputes through peaceful means, inaccordance with international law including the 1982 United Nations Conventionon the Law of Sea, and urged that dialogues and consultations be intensified toensure the early conclusion of a Code of Conduct of Parties in the South ChinaSea/East Sea (COC). 6. The two sides welcomed thesuccessful conclusion of the Third Viet Nam - Thailand Joint Cabinet Retreat.Both sides agreed to maintain the dynamism in their Strategic Partnership asViet Nam - Thailand advance towards the 5th decade of bilateral ties.H.E. Mr. Nguyen Tan Dung, Prime Minister of the Socialist Republic of Viet Nam,expressed his sincere thanks to H.E. General Prayut Chan-o-cha, Prime Ministerof Thailand, to the Government and the people of Thailand for the warmhospitality and friendship accorded to the Vietnamese Delegation. Done at Bangkok on this 23rdday of July 2015 in duplicate in the English language.